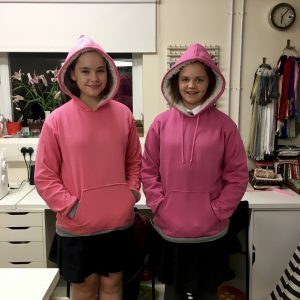 Make yourself a soft and cosy hoody from our range of organic 100% cotton sweatshirt fabrics. 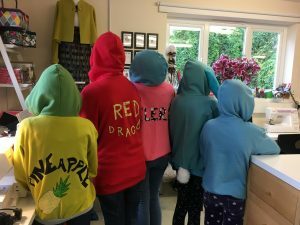 Why not customise your hoody with an appliqué design, perhaps your name or favourite team, or what about ears? 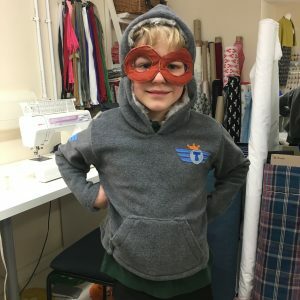 In this two day course you will learn to cut and mark your fabric from a paper pattern, construct your garment using a sewing machine and overlocker, apply patch pockets, add stretchy cuffs, apply your own decorative extras in the form of appliqué. 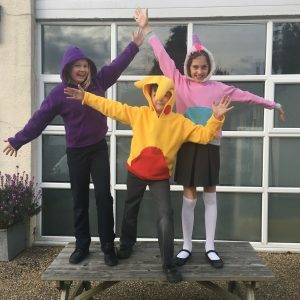 Look totally awesome in your own unique hoody. Course costs £135 including all basic materials. If you decide to go wild and cover it in trims, these will be charged separately. 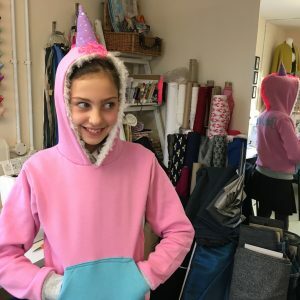 Super speedy sewists may finish their hoody in less than the two days allocated, but don’t worry, you won’t be twiddling your thumbs, we have a range of exciting small projects to fill any extra time. 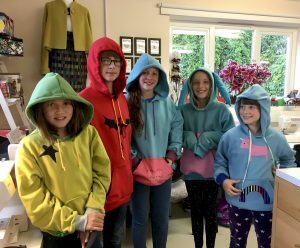 Here are a few that our students have made in the past….